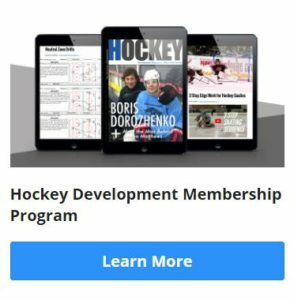 A while back I was talking to one of my coaching buddies about some of the cool off-ice training equipment that is available these days. I mentioned something about combining a hockey slide board with a stickhandling skill pad, and how it would be cool to be sliding back and forth while stickhandling, passing, shooting, or anything else. 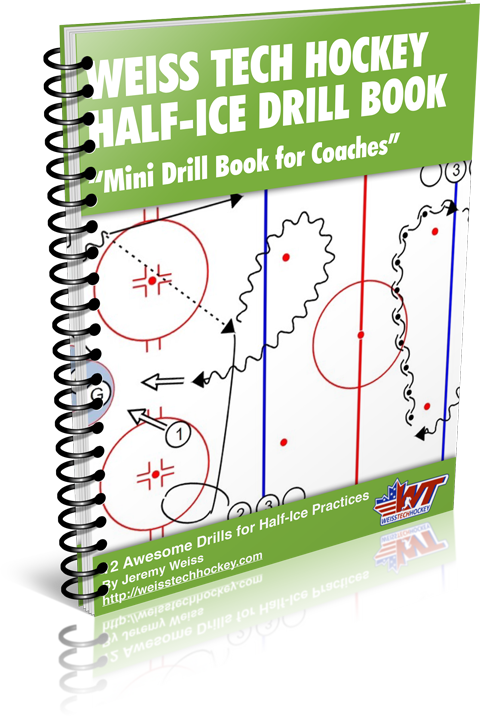 At the time I thought my idea was completely original… but, it turns out that innovative hockey coaches have had their players doing this for years! So… here’s what I did. I picked up the PowerSlide slide board from HockeyShot. 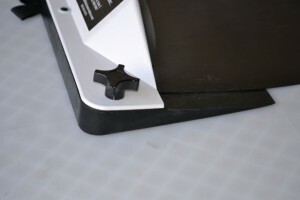 It’s a really high quality slide board that is portable, so you can take it places; adjustable, so you can use with athletes of various sizes and abilities; durable, so it’ll hold up to a lot of usage; and super grippy, so it won’t slide around on you. The first thing I did was watch the free DVD that came with the PowerSlide. The DVD was very helpful for instructions on putting the PowerSlide together, but the exercise instructions and demos were a little weak to be totally honest. You’ll be better off just using your own creativity to develop your own set of exercises. Plus, as a hockey player or coach, I’m sure you’ve got no shortage of skating drills that can be transferred to the PowerSlide! Set up was a breeze. I unrolled the PowerSlide, attached the adjustable end piece so that it was a good length for me, tightened it down, and I was all set. 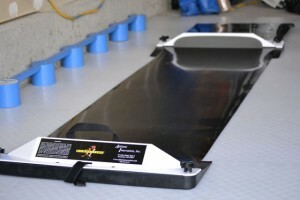 The PowerSlide consists of two end-piece assemblies (where you’ll be pushing off from), and a flexible slide mat. There’s an interesting design feature that I quite like on the PowerSlide. 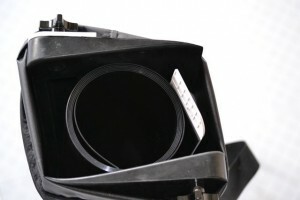 The end piece assemblies aren’t just flat, like most other slide boards. 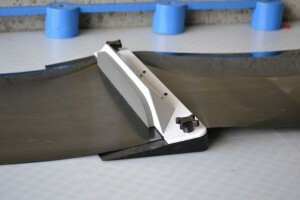 They are made using solid rubber “ramps” that enhance the grip underneath the slide board, and improve the pushing angle of your stride. This feature allows you to stride really hard, but stay very stable in the process. The PowerSlide also comes with a carrying bag, and a set of booties to wear over-top of your shoes. I decided to use my PowerSlide on top of my Dryland Flooring Tiles, which gave me tons of room for stickhandling and passing. It worked REALLY well! The only thing that surprised me was that the PowerSlide was SO grippy that they were causing the Dryland Tiles to shift a little bit against the garage floor! Once I slid the tile set-up into the corner, it anchored itself down a bit better, and I didn’t slide anymore. 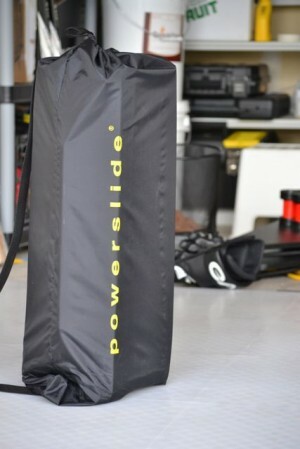 Using the PowerSlide was amazing… not only was it a lot of fun, but it was a FANTASTIC workout! In fact, you can see a bit of sweat on my face at the end of my video review 🙂 What’s even better though, is that it felt A LOT like the real thing. I was able to work on all sorts of skating, passing, and stickhandling combos, all in the “comfort” of my own garage! This was one of the funnest, most realistic set-ups I’ve had the chance to mess around with, and I definitely recommend adding this to your Home Hockey Training Center. Yes, you’ll spend a bit more upfront, but it will make your experience a lot more worth while in the long run.